Sadly, domestic disputes are quite common in our society. Whether the accusations of domestic violence are true or not, the consequences of such allegations can wreak havoc on a family’s dynamics for years to come. Daniel Brown works closely with a group of trusted family law lawyers to ensure that his clients interests are protected both in the criminal courts as well as the family courts. A husband and wife have been married for 7 years. They have two young children, a daughter, age 5, and a son, age 3. Over the last two years, their relationship has slowly deteriorated, becoming increasingly antagonistic; in fact, it is not uncommon for the couple to engage in screaming matches that can be heard by neighbours. During one particularly aggressive confrontation, the wife feels threatened by the husband and calls the police, alleging domestic violence. The husband is picked up by the police and brought to the station. There, he is charged with uttering a threat to cause death (s. 264.1(2) Criminal Code) and his bail is set at $2,000. The terms of his bail are such that he is not allowed to return to the matrimonial home or contact his wife directly. He is only allowed to communicate with a third party to arrange access with his children (as no child abuse was alleged). The next day, the wife contacts a lawyer, who sends a letter to the husband stating that the wife has hired legal representation and will be seeking a divorce. The wife also informs the husband that she will be seeking exclusive possession of the matrimonial home, as well as an order prohibiting him from directly or indirectly contacting or communicating with her pursuant to s. 25.1 of the Family Law Act. This example is based on Canadian statistics, that show that 8 per cent of reported family violence is perpetrated by husbands toward wives. Of course, there are instances where abusers have been wives (http://www.phac-aspc.gc.ca/ncfv-cnivf/publications/femviof-eng.php). When a spouse is faced with charges of domestic violence, the fallout can be life-altering, regardless of whether a conviction results or not. While the husband in the aforementioned scenario may never be found guilty of the allegations against him (or any other domestic violence charges), the charge and bail conditions alone may have a negative, long-standing impact on his ability to communicate with, access, and parent his children. 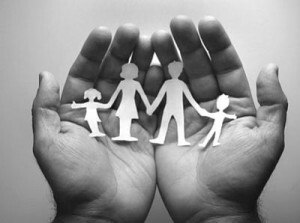 When one parent is removed from the matrimonial home as the result of an actual or alleged domestic dispute, it can leave a lasting impact on how custody and access are arranged. This results from the fact that the accuser spouse usually gets de facto custody of the children and de facto exclusive possession of the matrimonial home, sometimes regardless of who has had the role of primary caregiver in the past. Where one parent gets de facto custody of the children of the marriage, the other spouse’s entitlement to custody is affected. According to section 20(4) of the Children’s Law Reform Act (CLRA), upon the separation of the parents, a parent’s entitlement to custody, but not access, is suspended where he or she consents or acquiesces to the child residing with the other parent in the absence of a separation agreement or court order to the contrary. Accordingly, a parent who is ordered to leave the matrimonial home may lose his or her entitlement to custody of any children of the marriage. Moreover, the parent who has de facto custody of the children is at an advantage inobtaining a final custody order. Although a court will look overall at what custody and access situation best reflects a child’s best interests, the courts, by and large, look to maintain the status quo in making their final order. Accordingly, where one parent has de facto custody or an interim custody order, the courts generally favour stability and continuity, and will refuse to disrupt the existing state of affairs. So, it is important to deal with your rights as soon as possible after your release from incarceration. In the matter of Shaw v Shaw, Justice Pugsley discussed the detrimental impact of the interaction between the family and criminal justice systems can have on a family involved in the family law system. Sometimes, as in this case, a parent may exploit this interaction, causing irreparable harm to the children involved. In that case, a very minor assault by the wife led to severe bail restrictions, including restrictions on the wife’s ability to access the matrimonial home or contact the father or her children. While the Attorney General’s zero tolerance policy with respect to domestic assault is appropriate, there are many minor cases where the children’s best interests are negatively impacted by the accuser parent’s ability to obtain a favourable order by presenting only one side of the story to the court. If you feel yourself going over the edge, it is a better idea to leave the house and go for a walk. Follow the link for more information on the Shaw matter. In addition to receiving de facto custody of the children, a spouse who alleges violence may also obtain an order for exclusive possession of the matrimonial home which may, in turn, affect how and when property division can occur. Under s. 24 of the Family Law Act, a court is authorized to grant possession of the matrimonial home to one of the spouses. Relevant factors in granting such an order include, but are not limited to the best interests of the children including the effects of a move and the wishes of the children as well as whether there is a history of family violence. If a spouse obtains an order for exclusive possession, the accuser spouse has established the status quo such that they have sole possession of the matrimonial home. Once that is established, the courts are wary of disturbing the status quo in the interim period unless it is in the children’s best interest. Furthermore, contravention of an order for exclusive possession carries with it a hefty punishment; pursuant to section 24, infringement of an order for exclusive possession renders the offending spouse liable for a maximum $5,000 fine and up to 90 days in jail for a first offence. While a court may award an order for exclusive possession in many situations not involving violence or the threat thereof, the courts can sometimes be less forgiving where criminal charges have been laid. For instance, where abuse is alleged, a court may allow exclusive possession despite the cost of maintaining two households on a limited income (Wilson v Wilson). Additionally, a court may not force the sale of the matrimonial home where it imposes unnecessary hardship on the accuser spouse (T (B) v T (G), 1997). In other instances, a court may grant an extended exclusive possession order (3 years, for example) with the option to the accuser spouse to purchase the accused spouse’s interest in the matrimonial home for a portion of that spouse’s net equity (Sloggett v Sloggett, 1989). Finally, a court may hold an accused spouse liable for mortgage payments, hydro, and telephone expenses relating to the matrimonial home. Although the person with exclusive possession is generally responsible for such expenses, the presumption may be rebutted by reviewing the budgets of each spouse, the amount of support awarded, and the ability of the person in possession of the home to pay such expenses (Rintaluhta v Rintaluhta, 1987). Moreover, the accused spouse may be affected when it comes time to sell the matrimonial home. While joint owners in a matrimonial home have a prima facie right to the partition and sale of that home under the Partition Act, the court has a narrow window in which to exercise its discretion to refuse or delay partition. If, in the end, a spouse is convicted of assault or any other crime against his or her spouse or children, any family law order made post-conviction will reflect this fact. In addition to a term in prison, a parent who has been convicted of violence against a member of their immediate family may be limited to supervised access, at least on an interim basis. Section 34 of the Children’s Law Reform Act (CLRA) permits a court to direct a consenting person, a Children’s Aid Society or other organization to supervise the custody or access of a child. Right now, Ontario has a number of Supervised Access Sites (SAS) in place to ensure that parents and other guardians have appropriately supervised access with their children. Generally speaking, supervised access is the exception and is avoided if at all possible in the best interests of the child. Nevertheless, where a parent has been violent to a spouse or the child, it may be necessary. Where entitlement to spousal support is demonstrated, the courts will use the Spousal Support Advisory Guidelines (SSAG) to determine the amount and duration of support. The SSAG provide the court with low, medium, and high ranges of support depending on the spouse’s income. Courts will take into account a number of factors in deciding how to apply the ranges including: the strength of the compensatory claim; the recipient’s needs; age, number, needs and standard of living of children; needs and ability to pay; property division and debts; and self-sufficiency incentives. Although the SSAG does not specifically recommend that judges take into consideration the conduct of the payor spouse, learning about a domestic violence conviction is likely to affect how a judge applies the SSAG ranges. After all, judges are human beings, and as such, are affected by their own moral compasses. In the end, the courts may order support at the high end of the ranges where a parent has wrongly treated their spouse or a child of the marriage. Finally, in egregious cases where a spouse’s conduct is “so unconscionable as to constitute an obvious and gross repudiation of the relationship” the court may, under s. 33(10) of the Family Law Act, consider conduct in determining the amount (but not entitlement to) spousal support. That being said, application of s. 33(10) requires an extremely high threshold, and even long-term domestic violence may not be enough (Melanson v Melanson, 1991). When a spouse has been charged with a criminal offence, as in the above mentioned scenario, the first step is for that spouse to retain a both a criminal lawyer and a family lawyer. While a family lawyer may not be able to do much about the family law matters until the criminal case hhas been resolved, he or she should attempt to get an order stipulating that access to the children be determined in accordance with an order from a family court and not by the spouse’s bail conditions. Because a family court will likely engage in a more thorough evaluation of the domestic situation and the best interest of the children, an accused may fare better in front of a family court. In any event, a family court order is likely to be less harsh than bail conditions. If your family has been affected by domestic violence and you or your spouse is facing family law related issues arising from a domestic incident, please call Feldstein Family Law Group today to book an appointment with one of our experienced lawyers. Alternatively, please read defending a domestic assault allegation for more information on domestic violence cases in criminal court.